Growing up, I was the tomboy but not the jock. Does that make sense? I loved to rough house and climb trees but I hated sports. The only thing the gym teacher could get me to participate in was kickball. Like most girls when I got to high school I became interested in football. (Well the players anyway) I managed my (first) high school’s team my sophomore year until I became so distracted by other things(boys) I had to tell the coach I’d rather just watch. When I found out I was going to have a son I was elated! Girls are good but little boys are great! I don’t do ribbons and dresses with lace, I prefer haircuts and Nikes. I knew how rough I was a child so I prepared myself for the roughness of parenting a boy child. Fast forward a little over eight years and insert what I call “the crazy“. Dude (I promise Dude is his family nickname I didn’t forget his name) started officially practicing for his first year of little league football on yesterday, and may I just say “I was not ready!” Born seven weeks premature my son is small, mighty, but small. Granted he is playing with other boys his age these kids are big as me! For a smaller child that can be intimidating. I never thought I would be one of “those” moms, you know the ones. The ones on the field more than the coaches, ready to jump the first kid that tackles her child, yeah one of “those” moms. 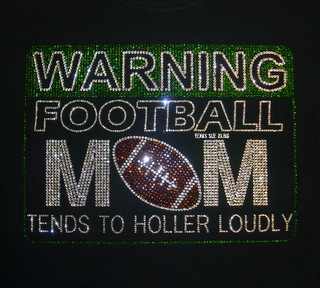 But while on the field during practice yesterday I realized I am and will be the epitome of a “football mom”. I think I did more yelling during practice than I have since I had to tell my son “stop” for the first time. And just think, the season hasn’t truly started yet. Can you imagine what our first game is going to be like? I am already preparing myself to be removed from the park at least twoce this season. It’s almost like the show Dance Moms only instead of a stage there is a field and instead of girls dancing there are boys tackling. The intensity you feel when your child is in competition of any kind is a rush that only another parent can relate to. I don’t think going in my son knew what he was getting himself into. 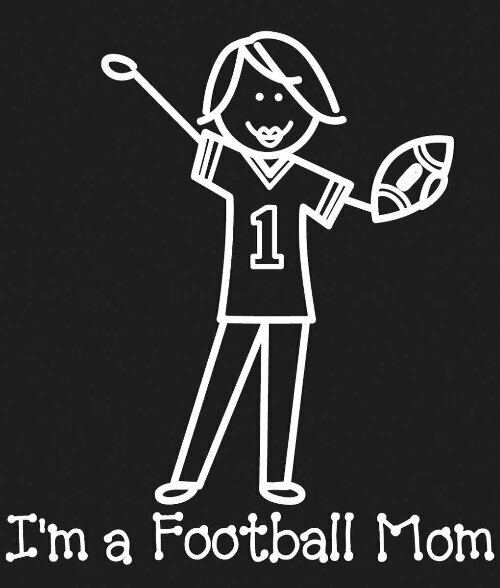 (Not actually the playing football but having me for a football mom part) Or maybe it is I who had no clue that I would become so involved so quickly. You think “Ok, I’ll sit on the sideline and let the coaches do their thing and read a book.” WRONG! I was right there on the sideline in my black sheath dress, cardigan and pearls getting dirty with my kid. Regardless, this journey is exposing a very competitive part of me that until now I never knew existed and I look forward to more days ahead. I think I smell a reality show pilot in the works! 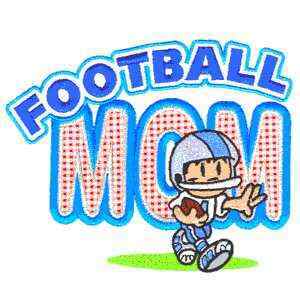 “The Real Moms of Football Season”. Oh I have the war wounds to validate my tomboyish ways. But sports bored me. But my baby is all in and i am right there with him! !